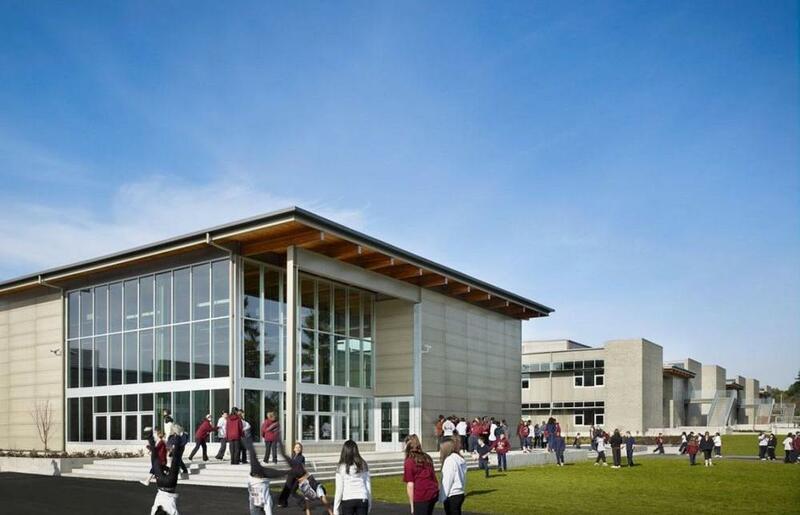 The new Gray Middle School site and program are united within a sequence of layers – civic, school, and environment – that bring students, teachers and the community together to reinforce a shared identity and celebrate student achievement. 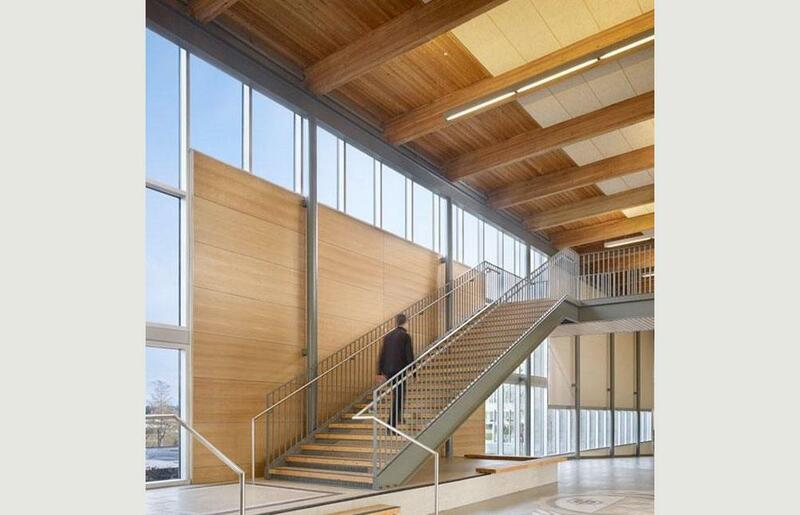 At the facility’s heart, a two-story gallery provides a dynamic forum for gathering that encourages communication and collaboration. 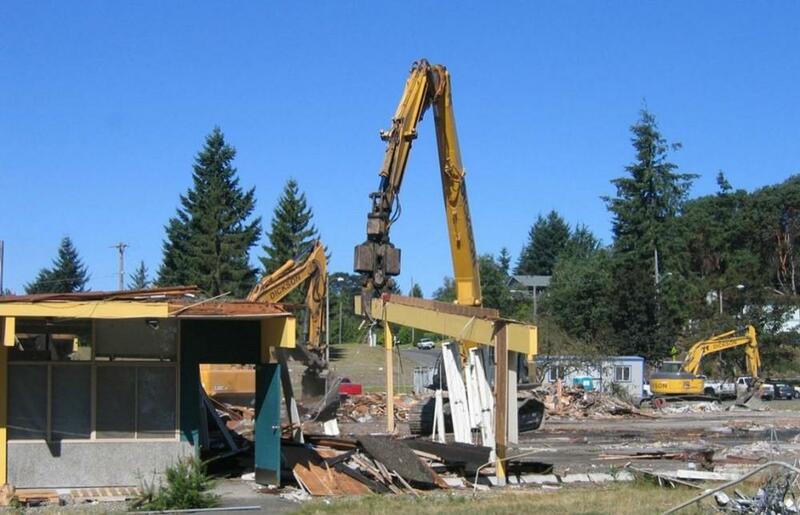 The new site for the school places it at the center of neighbor activity. 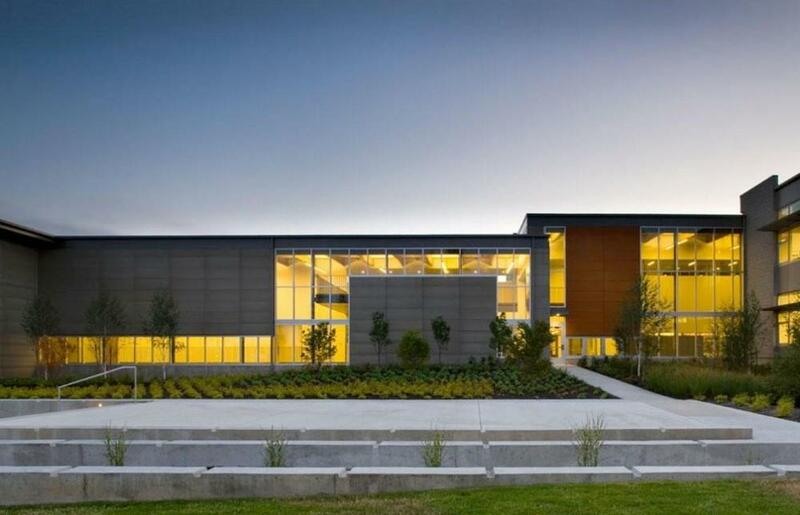 Opportunities to connect to the greater community were a driving force in shaping the building design. 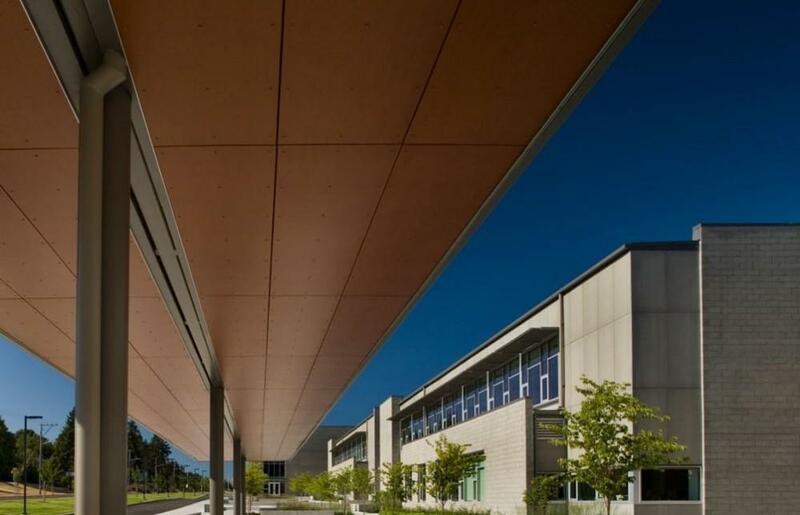 An entry plaza gathers students and visitors beneath a double row of trees along the front of the building presenting a strong and welcoming civic identity. 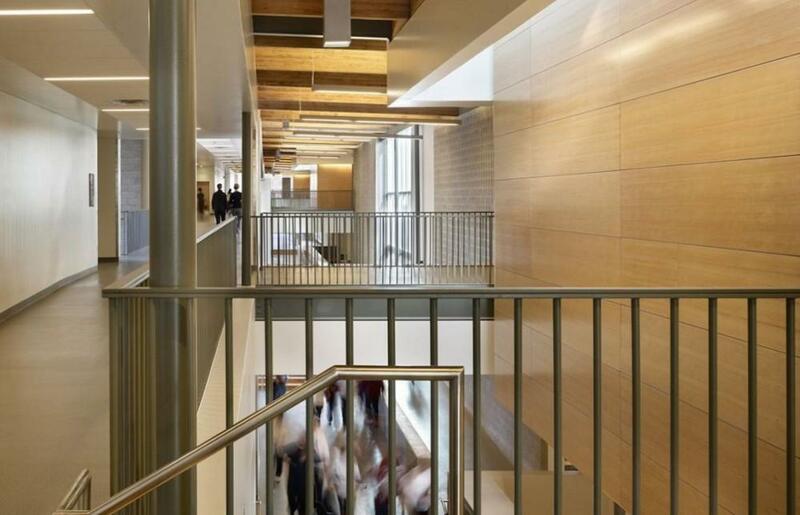 This space is a threshold to the greater community and is activated by making public elements of the school program – such as the gymnasium, library, and main lobby – directly accessible from it. 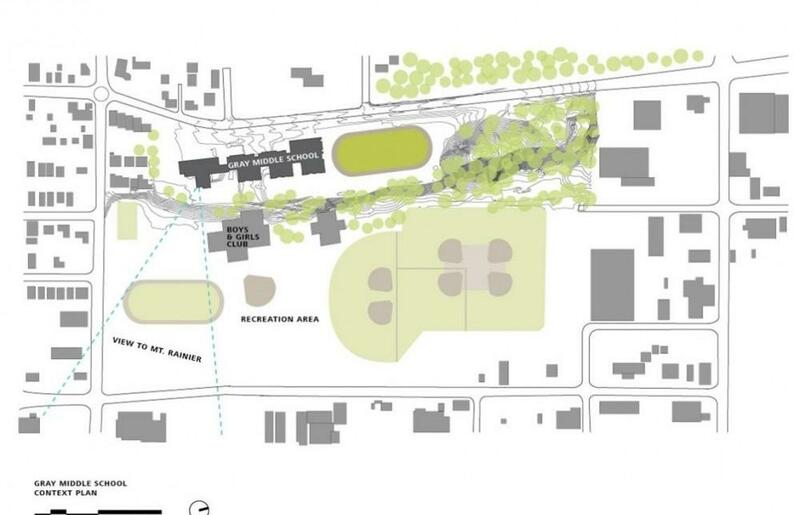 These facilities, along with the use of the commons and athletic fields, encourage continuous use of the site, fostering a safe and community oriented learning environment. 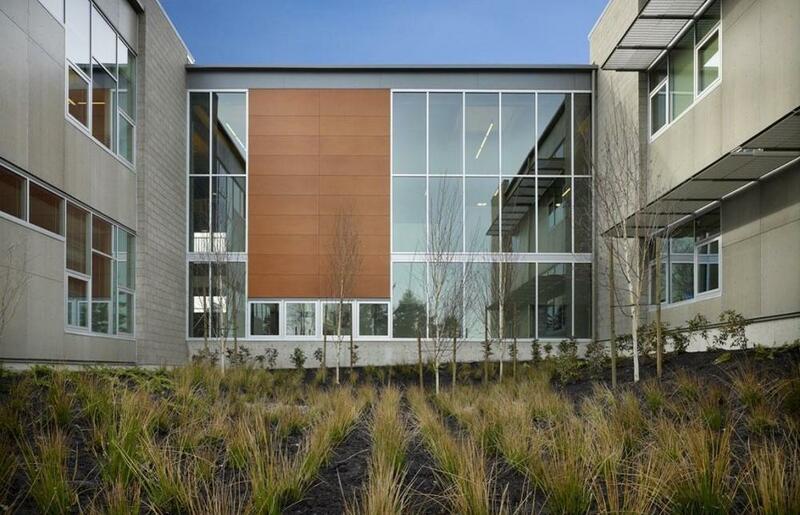 The client’s primary objectives for the project were to promote a sense of community within the school. 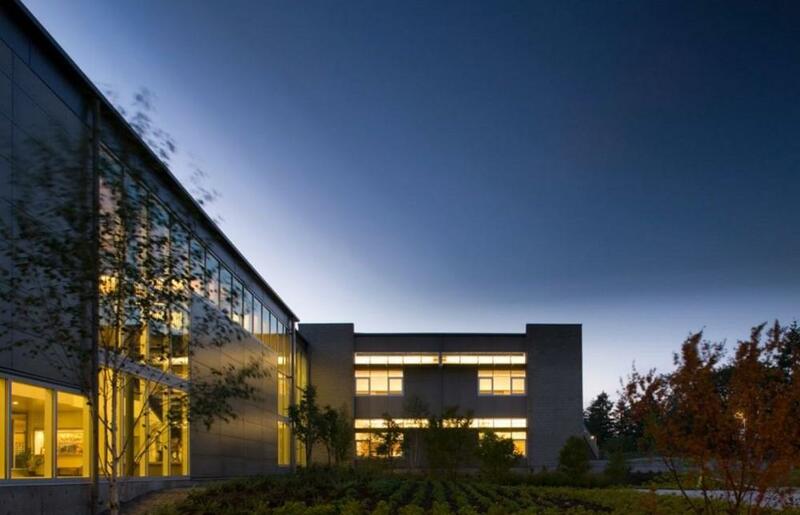 Inside, learning is seen and experienced through a double-height gallery that provides a forum for gathering and sharing – encouraging communication at all levels. 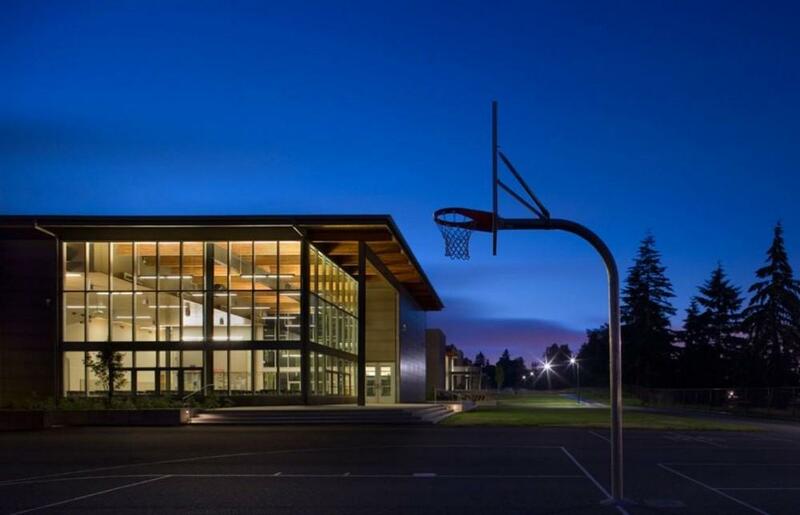 From the gallery, views into the gym, science labs, and shared activity areas make learning visible, reinforcing connections and a sense of the entire school working toward a common goal. 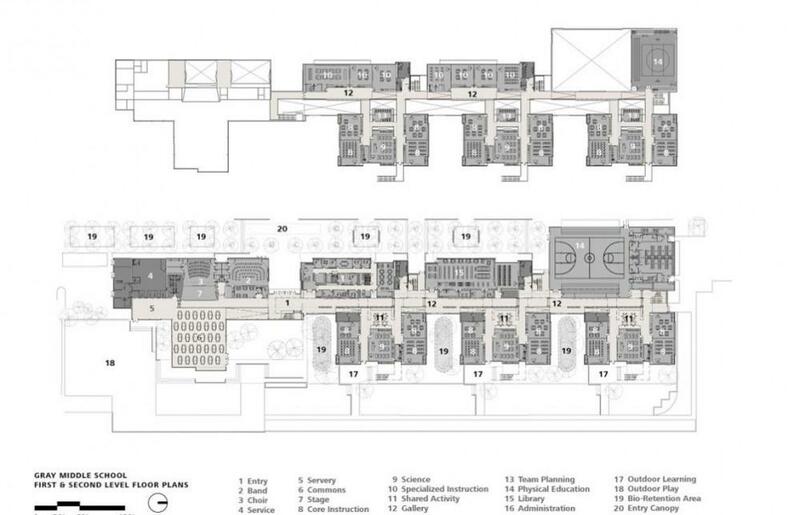 Upper and lower level connections continue in the three classroom clusters physically open to the common gallery space. 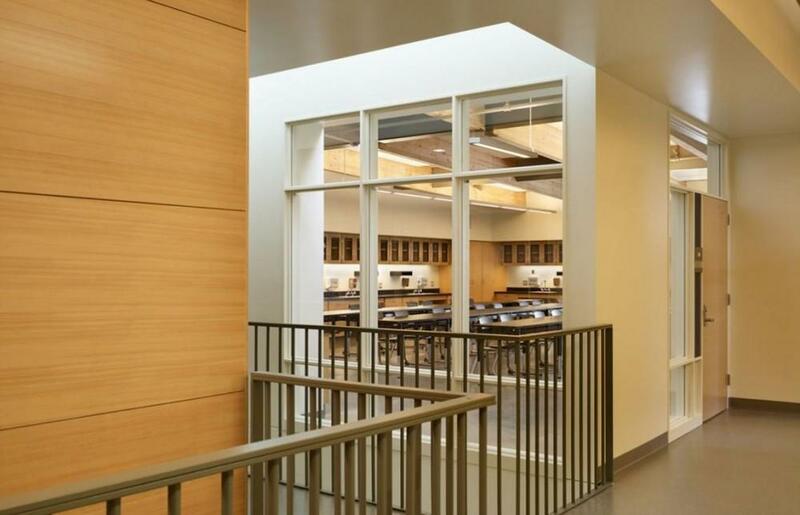 Shared learning spaces at the center of the classroom clusters connect to the gallery. 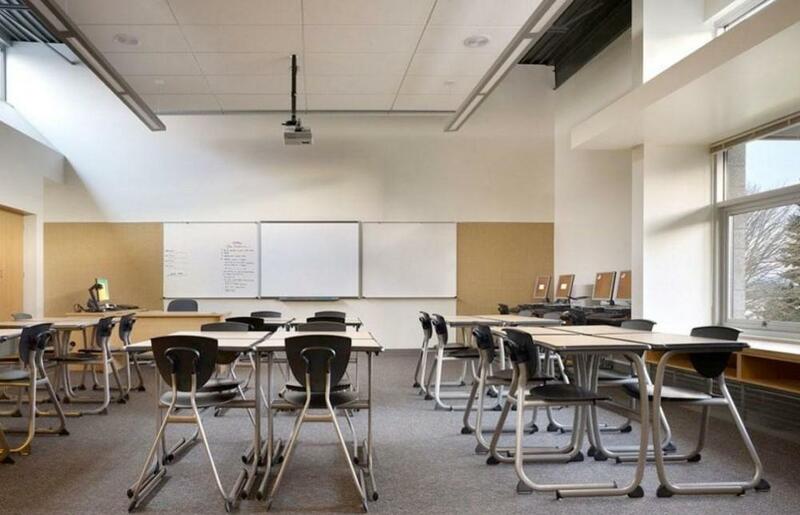 In these spaces, small and large group activities support classroom teaching by offering areas for activities ranging from student break-out to multi-class presentations. 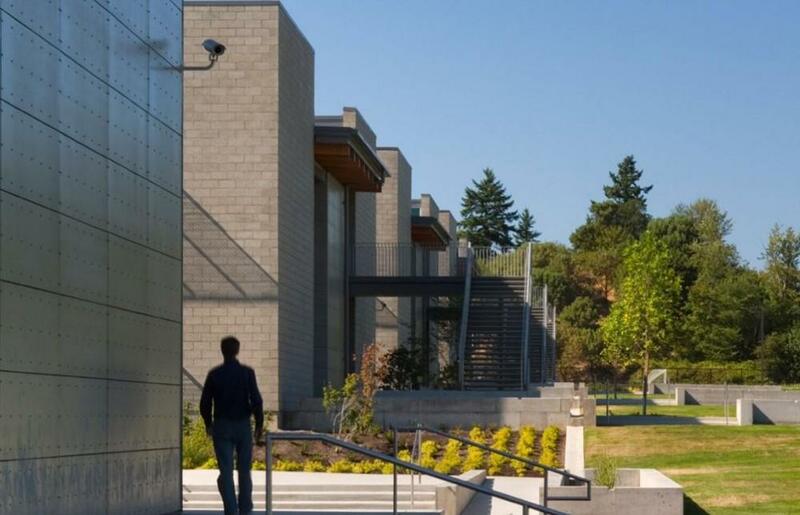 Along the gallery, alternating views open to landscaped raingardens, outdoor learning settings and distant views of Mt. 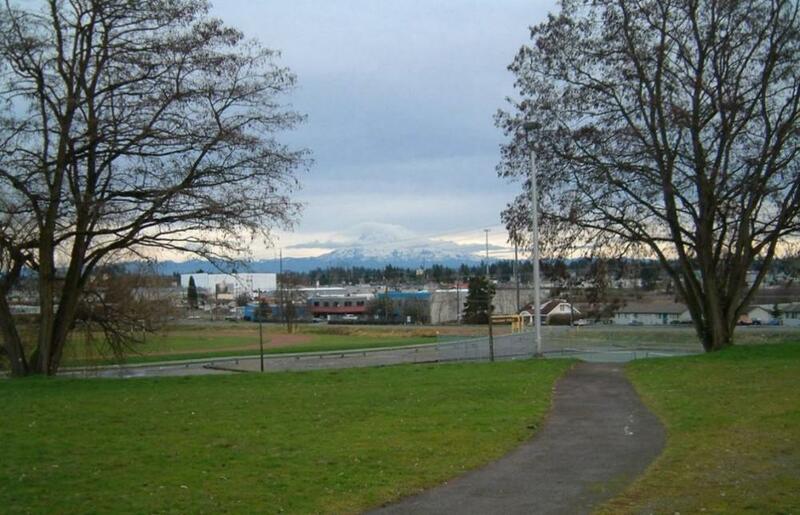 Rainier, connecting education to the environment. 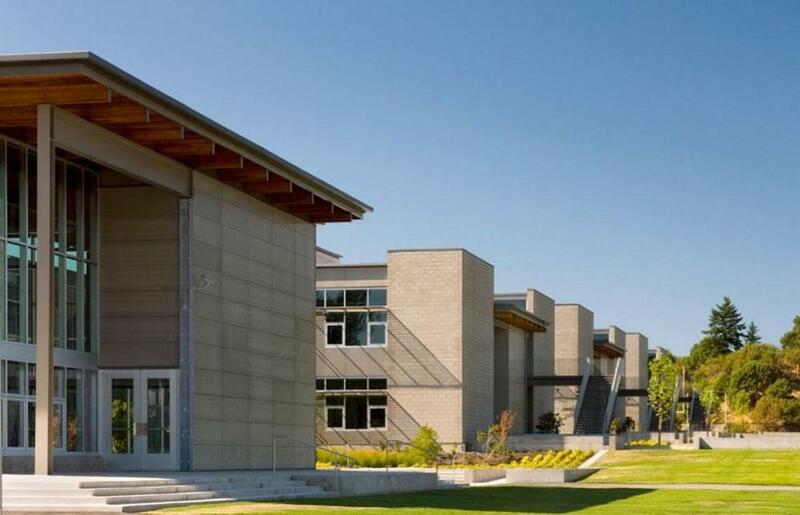 Furthermore, the school benefits from a fully integrated, high performance design following principles of resource management and sustainability. 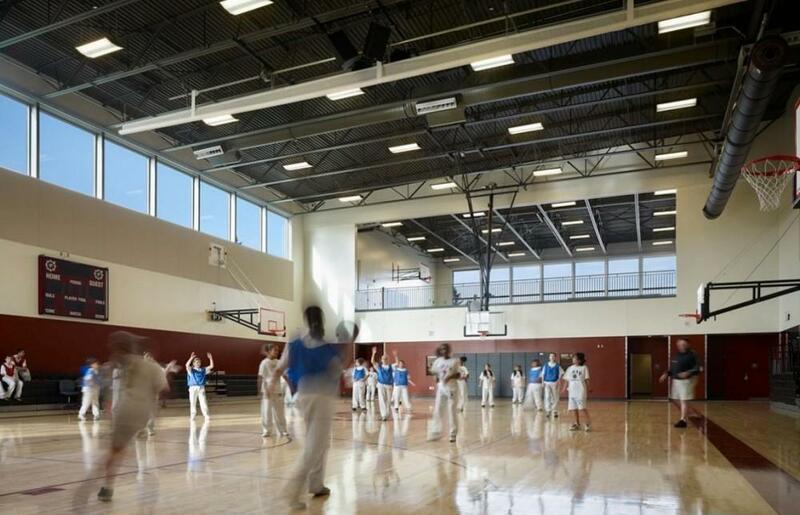 A ground source heat pump loop beneath the play field and heat recovery ventilators contribute to a 22% energy reduction, earning the school Energy Star designation. 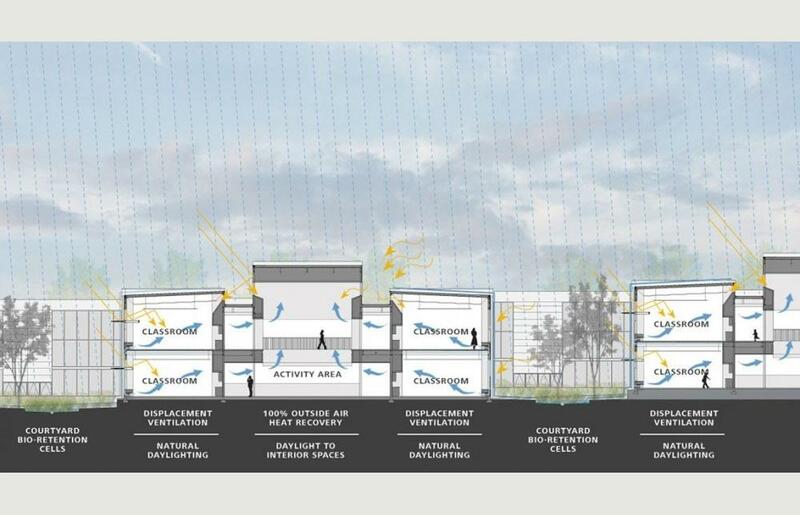 100% outside air displacement ventilation in the classrooms provides exceptional air quality to students and staff. 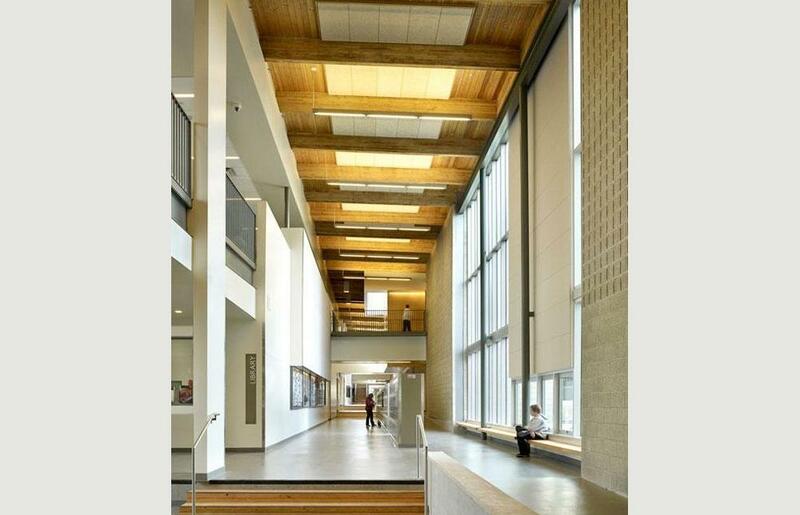 Additionally, learning spaces have been designed to gain maximum benefit from natural daylighting, contributing to student well-being and achievement. 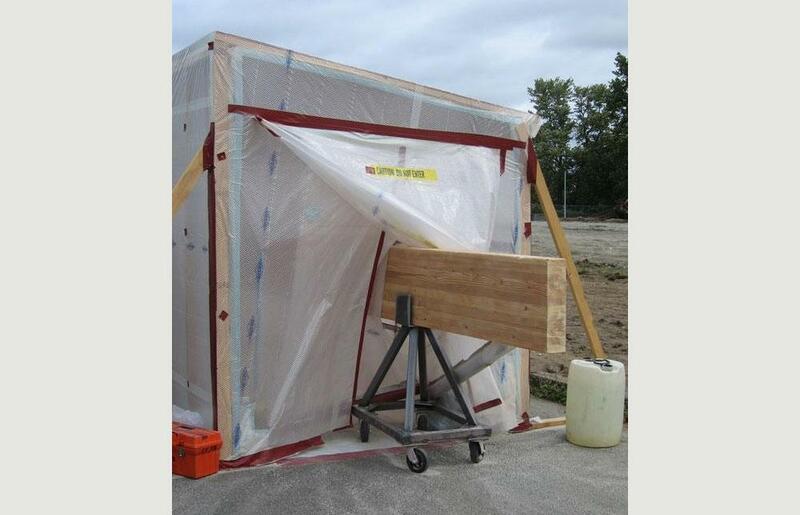 Non-toxic, low-impact finish materials are used throughout the school. 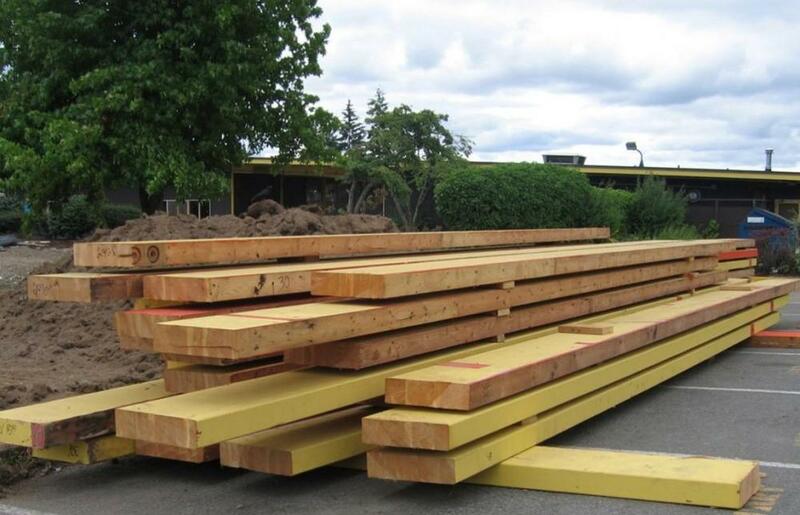 In particular, 200 glu-lam beams salvaged from the deconstructed existing high school on the site now support over 20,000 sf of roof structure in the new school. 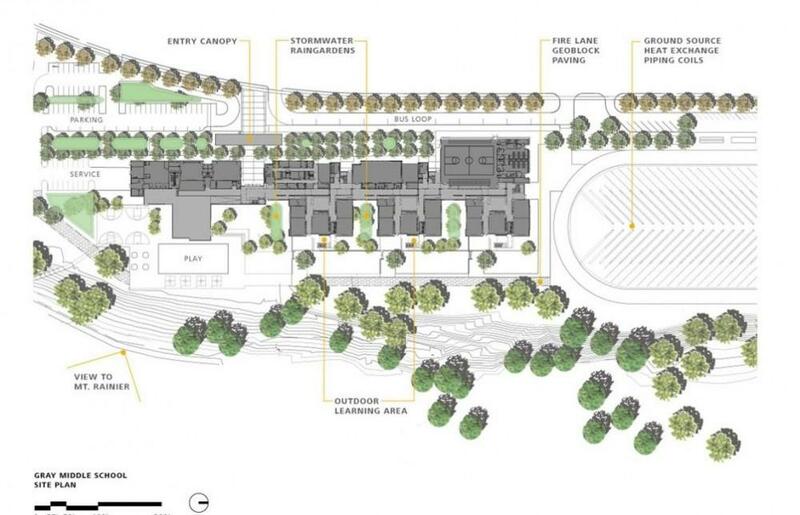 Outdoor learning areas integrated into the site design, including innovative low-impact stormwater strategies and rain gardens, provide opportunities to connect education with the natural environment. 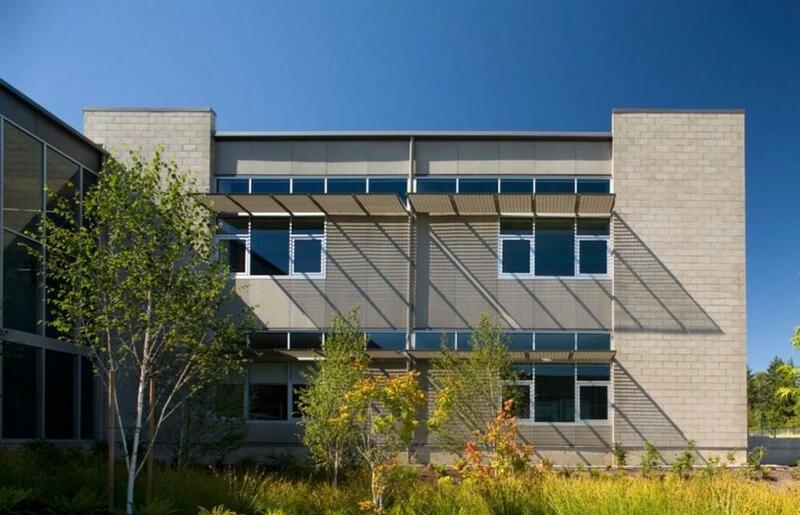 The sustainable building and site support the school’s educational objectives with healthy environments and design features that integrate curriculum with everyday activities.